ABM: Is it a Worthwhile Strategy for your Business? 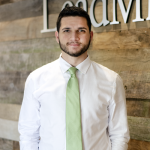 Allbound invites LeadMD’s CEO Justin Gray to speak on the hot topic right now, Account-Based Marketing, and why it’s the truest form in assessing real account acquisitions. The more leads the better, right? That’s the historical perception, at least. Many don’t realize right away with this thought process, is that a lot of those “leads” are really just duds. Usually only becoming aware of this after wasting time they could have been using to nurture genuine leads, and give them that engagement that they oh-so desire. This is really where ABM comes into play. ABM works within the entire funnel. Connecting the marketer with all other functions of the company, especially sales, to give the best results possible without making sacrifices in the process. To read more on the ABM process, check out the full article on Allbound’s site, here. James Hasso is finishing up school at Arizona State University and getting ready to enter the workforce regularly. With a wide array of interests, he has sought to diversify his experiences to gain more knowledge of various industries, including general marketing and marketing automation. When not in school nor working, James spends his free time hanging with friends & family; learning and writing about global issues, culture, and history; spending time at the gym; and trying new foods.